In CPM we are delighted to publish this article written by our collaborator, Catherina Grace from CPM Ireland, for an internal competition in which she turned out the winner of the Local Group. We extend our congratulations to Catherina for her input in the "Holistic Interviewing” approach . We also want to invite our community to contact us at the email info@cpmire.com, in case you are interested in becoming our guest blogger. Martin Callinans resignation has resulted in an opening for a new Garda Commissioner. How do you even begin recruiting for a role as senior and public as this? With an organisation as large as An Garda Síochana, there is most definitely a succession plan in place, with Noirin O’Sullivan looking likely to take up the position. CPM Ireland endeavour to constantly raise the bar in terms of our business, and the Recruitment Department is no exception! We take a “Holistic Interviewing” approach to recruiting and selecting for our senior managers. This approach focuses on finding out about the whole person as opposed to how they have handled situations in the past or possibly would in the future, addressing not only expertise and competence but the crucial factor of company fit. 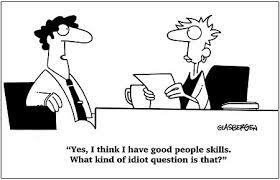 Better candidate care as the applicant feels the interviewer really gets to know them. The interviewer is able to not only assess with confidence immediate competency for a job, but also the candidate’s potential for future roles. As there are a core set of questions consistently asked of the candidate, reliability is significantly increased which is critical in the interview process. This investigative approach ensures that we continue to drive CPM’s business performance through producing in-depth person specifications and job profiles. As the “Holistic Interviewing” Process focuses on the candidate’s potential and not just their past experience or learned skills, the interviewer can get a better appreciation of what the candidate can offer in this position as it is not always possible to demonstrate skills using previous roles when applying for a promotional or unique opportunity. By assessing the interviewee’s motivation and attitude, the interviewer can measure fit as well as functional capability ensuring the right person is selected. Companies invest a lot in terms of budget and time into interviewing and selecting the right candidate. It is essential at the top levels that the successful candidate has the required competencies to function in the role as well as fitting in with the company culture and vision. I have highlighted what I think are some of the top factors which need to be considered when hiring for a senior level position. Check Backgrounds and References – Verify that all the presented credentials are possessed by the candidate. This will also give you a good understanding of strengths and weaknesses and how this person prefers to be managed. Ensure Culture Fit – Failure in a role can often be attributed to a poor fit within the culture and an inability to “fit in” with the direction, vision or work ethic of the company. When addressing the culture fit, it is important to not only assess the candidate’s functional capabilities but also who they are as a person. Overviewing a person’s life, their formative influences, core principles and pre-career experiences will give you an invaluable insight into who they are as a person which impacts how they lead. Negotiate A Package – The best candidate will be fully aware of their self-worth on the market, if they don’t – how will they negotiate on behalf of your company. Be patient and prepare to pay fair market value for the skills, knowledge and expertise that will undoubtedly benefit your company in the long run. When recruiting for a role, I believe that the key to reduced recruiting costs and higher candidate success lies in formulating and developing an effective and relevant recruitment strategy. A strategy which constantly evolves and adapts to business requirements can be the difference between company sustainability and growing success.